My vegan baking repertoire is practically nonexistent and I'm not sure why. Maybe because I had some preconceived ideas about how the end result would taste. Maybe I'm just too into butter! 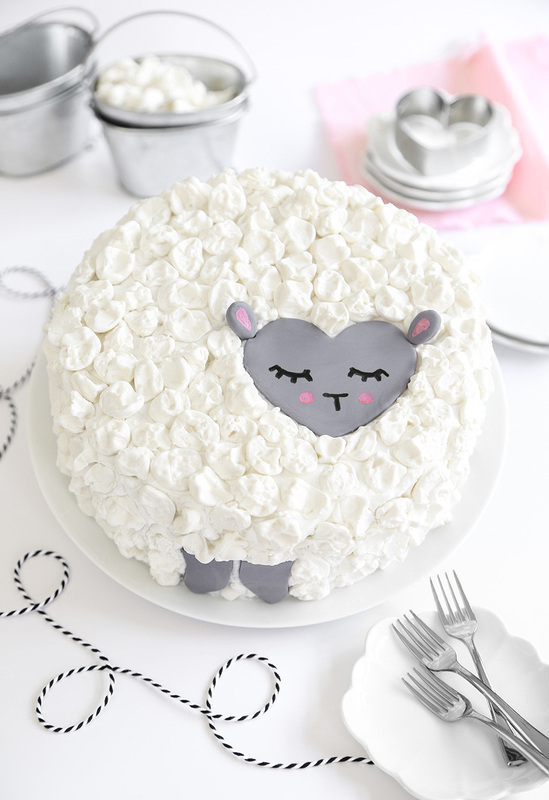 I took a chance on this eggless, and all-around dairy-less cake. My hopes weren't very high, but I have to say it has quickly become one of my favorite cakes to make and eat! 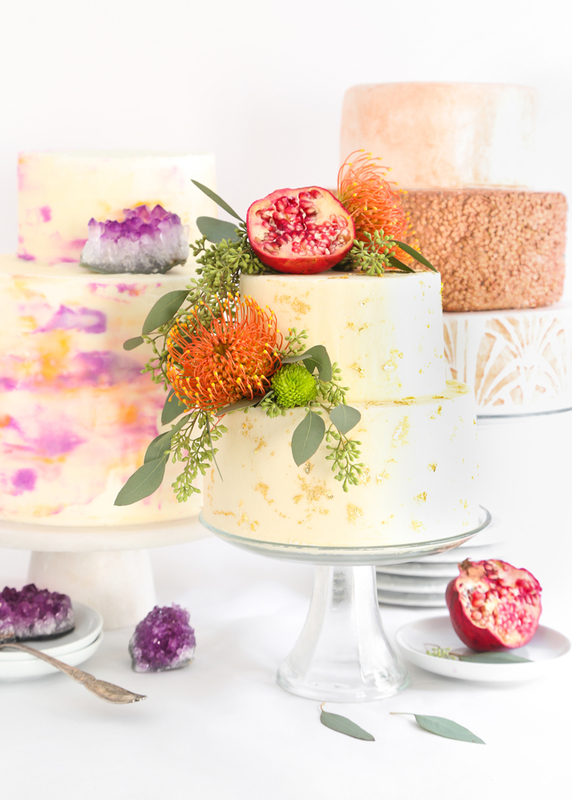 I'm really excited to share a brand new feature we're adding to the blog this year, it's called Bake This, Wear That! 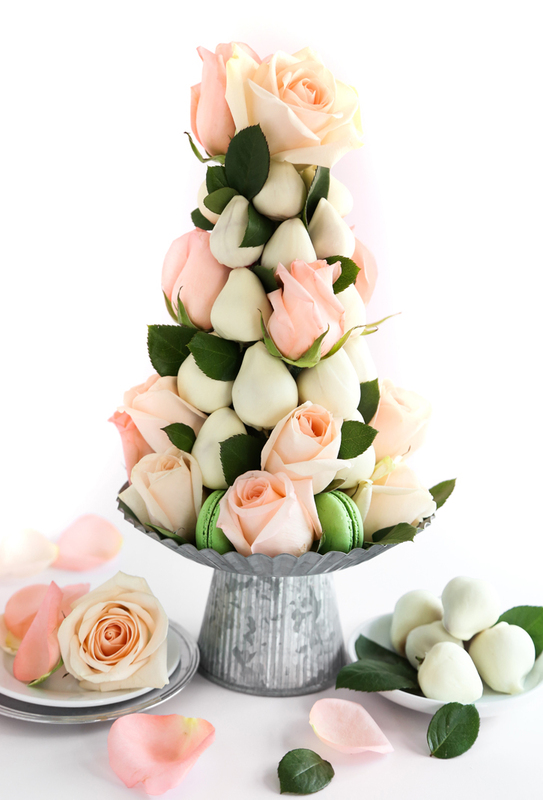 It's all about pairing cute desserts with something cute to wear. My daily uniform over the past few years has become a t-shirt, yoga pants and messy ponytail, so I definitely needed some help with this project. I decided to enlist the help of my good friend who is a personal stylist. 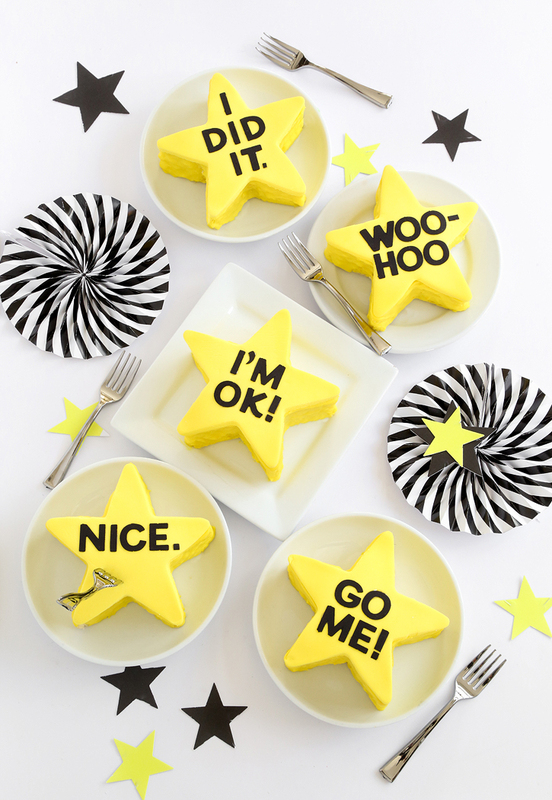 I came up with the idea for these Gold Star cakes on New Year's Day. I felt that we all needed gold stars for making it through the crazy year that was 2016, and that we should also celebrate our small victories in life. 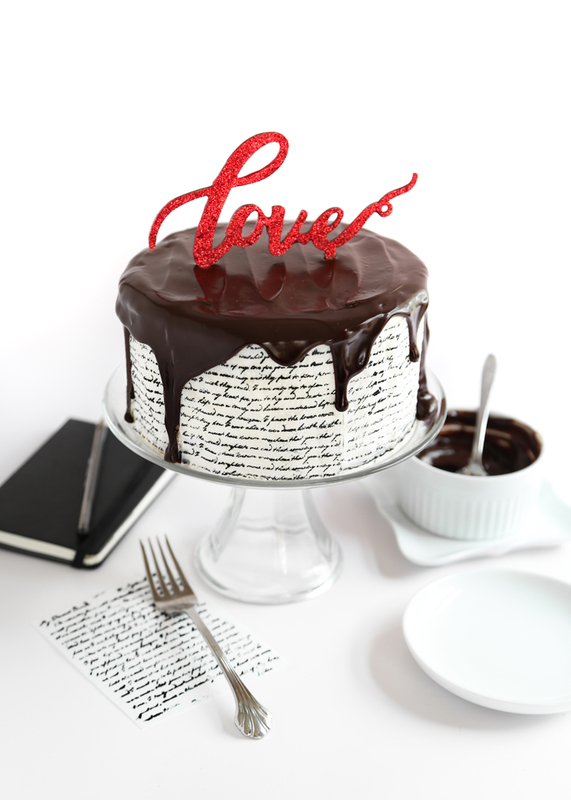 I like to celebrate with cake and I bet since you're here reading this, you do too! Ready to see what we picked to wear with our gold stars? I've made this bundt cake countless times, so it's hard to believe that I've never shared it with you before now! 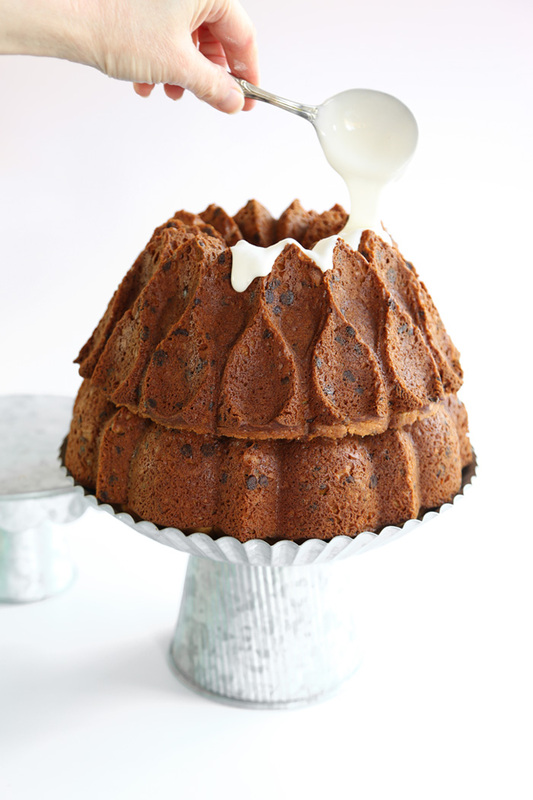 The batter molds beautifully in ornate bundt pans and the baked cake is cotton-soft in the middle. Brown sugar and mini chocolate chips sweeten the cake, so it tastes much like a chocolate chip cookie! I once asked my friend what kind of cupcakes she wanted for her birthday and she replied "I'm boring, I like yellow cake with vanilla frosting." I think I may have scared her because I got really excited and maybe shouted "I'm boring too! We can be boring together!" What I meant to say was "I like yellow cake with vanilla frosting also and I'm going to make us a batch right now." It feels a little crazy to be talking about Valentine's Day already but here we are, less than a month away! I've always supported the idea that this holiday should be for all kinds of love and not just the romantic sort. It should be celebrated elementary school-style. That means you buy a box of Valentines (bonus if they are scratch-and-sniff) and give one to everyone you know. All of this Valentine's business made me think about tokens of affection. Love letters in particular. Are they a thing of the past? Have they been replaced by heart emojis and text messaging? Maybe, but I'd wager that there are still a few romantics left with the talent and patience to hand-script a beautiful letter. I'm the sort of person that buys a savarin pan with the aim to use it as intended, which is to make a French savarin cake, but somewhere along the way my brain goes on recess. It chalk-draws on pavement and plays hopscotch. Savarin suddenly seems sooooo boring (because holy cow - this pan totally looks like a giant donut!) and so the Savarin cake has to wait because the Triple Stack Donut Cake feels 900% more fun. True to form, this has happened again. I had every intention to make cannelés when I bought a cannelé pan, but hey! 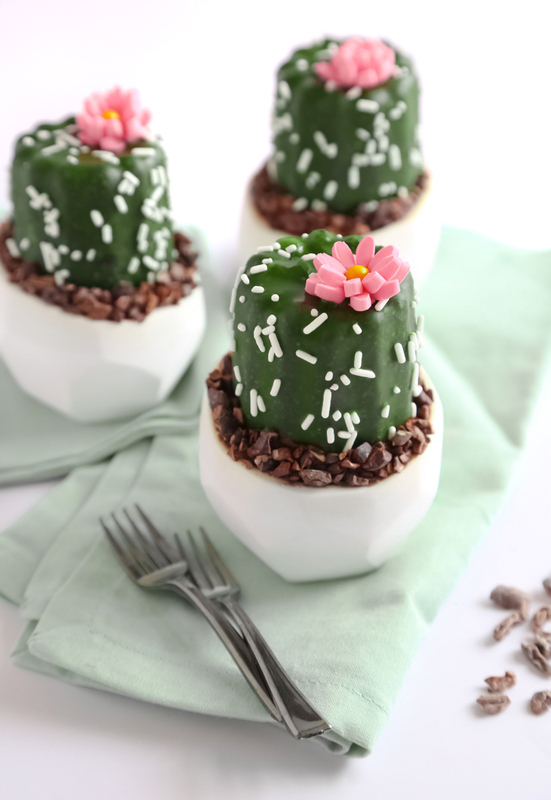 Let's make cute cactus cakes instead. January is an indoor kind of month. It's made of wet cement daytime skies and a cold that cuts. It smells like old books and candles, and makes me wear all my sweaters at once. Like clockwork it begs me to hibernate. But outside, on a cloudless night you'll find the brightest and twinkliest stars you'll ever see. 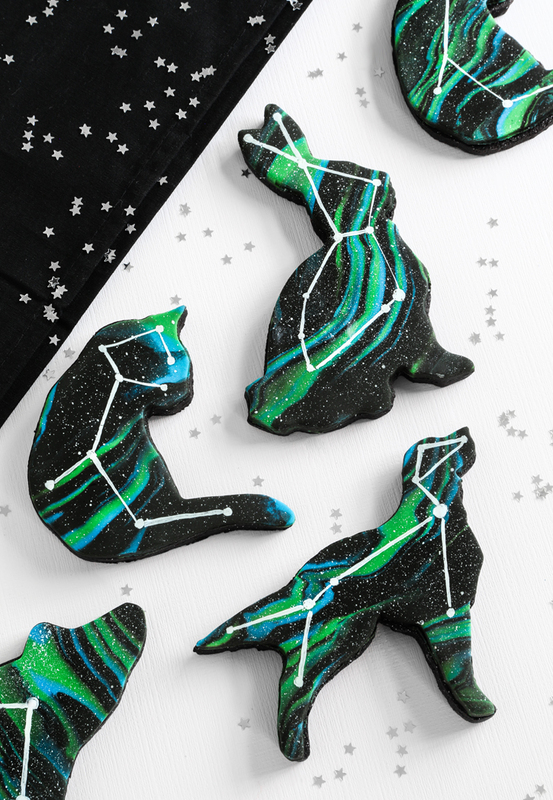 A few constellations are easy to spot with the naked eye, and I can't resist stepping outside for a quick look. Recently I've been reading about galaxies and animal constellations and the mythology attached to them. My favorite story is the Cherokee's description of how the Milky Way was created: an otherworldly spirit dog stole a ration of cornmeal and ran to the sky, spilling it as he traveled, creating stars. Well friends, we made it. Happy 2017! Each first day of January I find myself thinking about goals I'd like to achieve. I have a few hopes and aspirations for the blog this year but when I get right down to it, my focus is pretty narrow. I just want to find little moments of happiness and celebrate them - both in my work life and personal life. 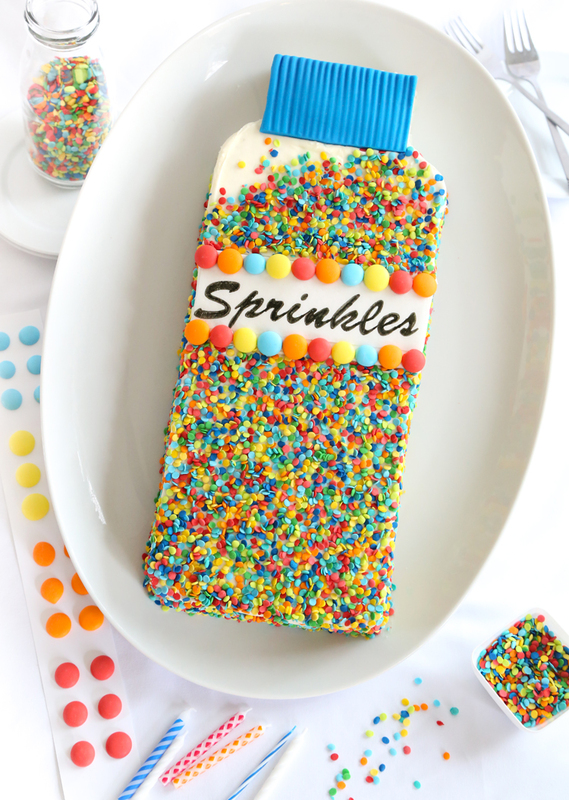 I suppose that's why I'm beginning the year with a confetti cake shaped like a big bottle of sprinkles! 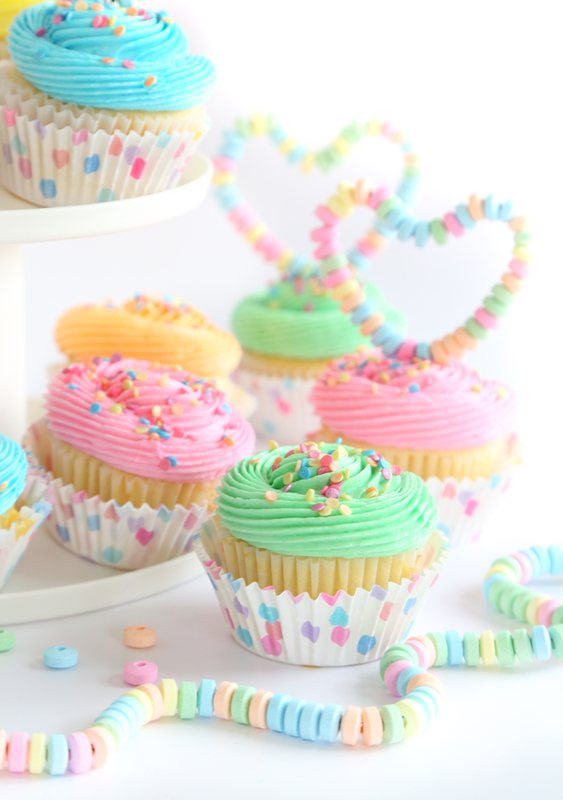 It's no secret - sprinkles and cake are two of my very favorite things in life.